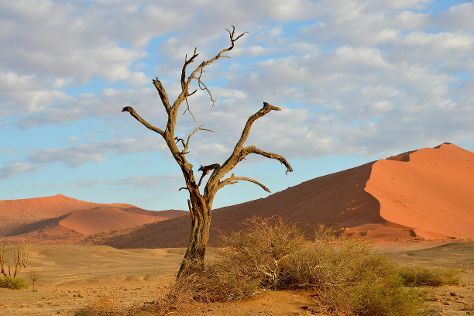 On the 24th (Wed), explore the fascinating landscape at Sossusvlei and then get outside with Dune 45. To see reviews, maps, traveler tips, and tourist information, you can read our Namib-Naukluft Park itinerary planner. Reykjavik, Iceland to Namib-Naukluft Park is an approximately 34-hour flight. The time zone changes from Greenwich Mean Time (GMT) to Western African Time (WAT), which is usually a 1 hour difference. Finish your sightseeing early on the 25th (Thu) so you can travel to Cape Town. Escape the urban bustle at Table Mountain and Robben Island. Venture out of the city with trips to Boulders Beach (in Simon's Town) and Cape of Good Hope (in Table Mountain National Park). There's still lots to do: admire the natural beauty at Kirstenbosch National Botanical Garden, examine the collection at District Six Museum, kick back and relax at Clifton Beaches, and take in the awesome beauty at Signal Hill. For reviews, traveler tips, other places to visit, and other tourist information, go to the Cape Town tour planner. Traveling by combination of car and flight from Namib-Naukluft Park to Cape Town takes 10 hours. Alternatively, you can drive. The time zone difference moving from Western African Time (WAT) to South Africa Standard Time (SAST) is 1 hour. In May, plan for daily highs up to 24°C, and evening lows to 11°C. On the 30th (Tue), wrap the sightseeing up by early afternoon so you can travel to Oudtshoorn. Start off your visit on the 31st (Wed): explore the fascinating underground world of The Cango Caves, then identify plant and animal life at Cango Wildlife Ranch, and then look for gifts at Cali Craft & Gems. For photos, reviews, other places to visit, and more tourist information, read Oudtshoorn itinerary maker. Getting from Cape Town to Oudtshoorn by combination of flight and bus takes about 4.5 hours. Other options: drive; or take a bus. Wrap up your sightseeing by early afternoon on the 1st (Thu) to allow time for travel to Nelspruit. 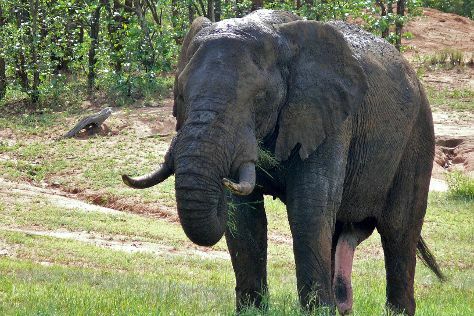 Get outdoors at Kruger National Park and Elephant Whispers. And it doesn't end there: Head underground at Sudwala Caves, head off-road at local off-road trails, savor the flavors at Shautany Chocolatiers, and look for all kinds of wild species at Jane Goodall Chimpanzee Eden Sanctuary. For ratings, more things to do, traveler tips, and other tourist information, use the Nelspruit trip builder. You can fly from Oudtshoorn to Nelspruit in 6 hours. Alternatively, you can drive; or take a bus. In June in Nelspruit, expect temperatures between 25°C during the day and 11°C at night. Wrap up your sightseeing on the 4th (Sun) to allow time to drive to Hoedspruit. 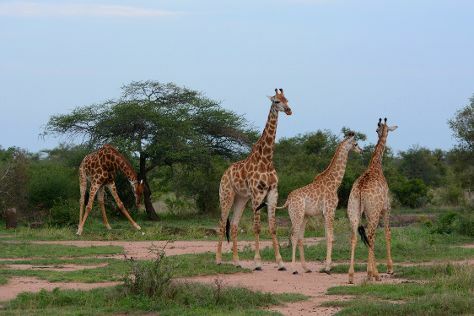 Escape the urban bustle at Game drives at Phalaborwa Gate in Kruger National Park and Idube Game Reserve. Step out of Hoedspruit to go to Kruger National Park and see Thornybush Game Reserve, which is approximately 56 minutes away. It doesn't end there: identify plant and animal life at Thornbush Game Reserve and soothe aching muscles at some of the top local wellness centers. To see reviews, traveler tips, and other tourist information, read our Hoedspruit tour planner. You can drive from Nelspruit to Hoedspruit in 2.5 hours. Another option is to drive. In June, daily temperatures in Hoedspruit can reach 26°C, while at night they dip to 11°C. Finish your sightseeing early on the 8th (Thu) so you can travel to Johannesburg. Start off your visit on the 8th (Thu): contemplate the long history of Mandela House and then see the interesting displays at Apartheid Museum. For more things to do, reviews, other places to visit, and tourist information, refer to the Johannesburg trip itinerary builder. You can fly from Hoedspruit to Johannesburg in 3 hours. Alternatively, you can drive. Expect slightly colder temperatures when traveling from Hoedspruit in June; daily highs in Johannesburg reach 21°C and lows reach 5°C. Finish up your sightseeing early on the 8th (Thu) so you can travel back home.